Product Review: Vegan Bleu Cheese! Homemade Sarcasm on Pumpkin EVERYTHING!!! Bubbles and Booyah on Pumpkin EVERYTHING!!! Well I hope you all are enjoying family, friends, and/or good food! One of my goals is to post and read more blogs in the coming year! I received the Oh She Glows cookbook, so I’ll definitely be posting some pics of recipes that I’ve tried. The pic here is my puppy sleeping in the book about 3 minutes after I got it. I had to wait until after her nap to read it. Of course, I’m on the eat-drink-live everything pumpkin flavored bandwagon, because gosh damn it’s delicious!!! 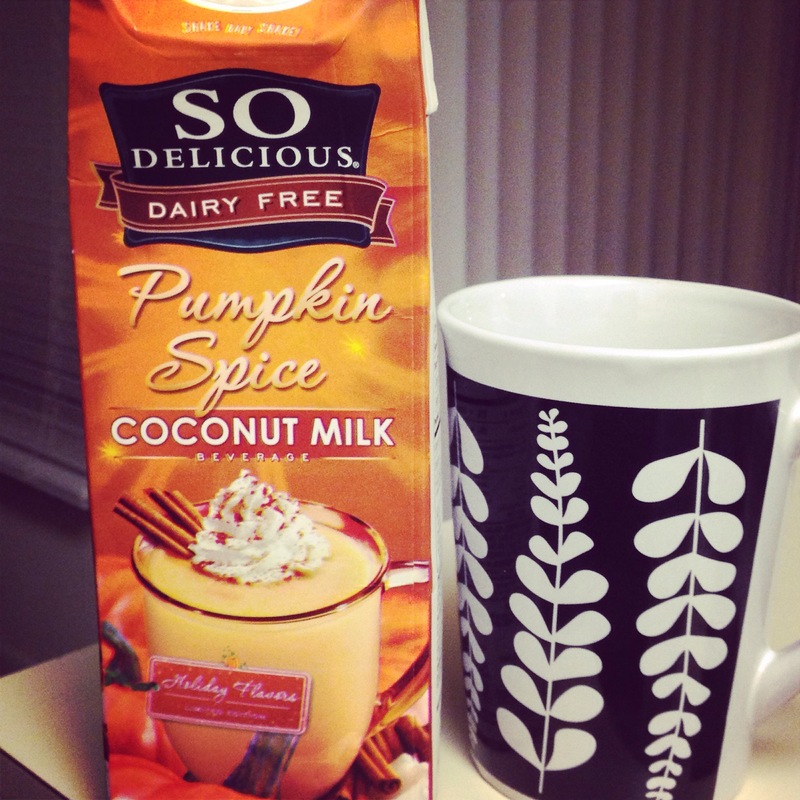 The So Delicious Pumpkin Spice Coconut milk had me saying “Is this real life? !” It’s better than pumpkin pie… It’s better than any pumpkin flavored anything I’ve ever tried. I drink it on its own, in coffee, and in tea. I plan on making over night oats or baked oatmeal with it soon. Don’t miss this one my friends! I had to forcefully keep my hands in my pocket while at the store, because there is also a Mint Chocolate variety. If I bought that, my life would be over as I know it. I’d do nothing but down cartons of it at a time. Who am I kidding… I’m getting it next time and I’ll let you know. Do you have any great pumpkin finds? 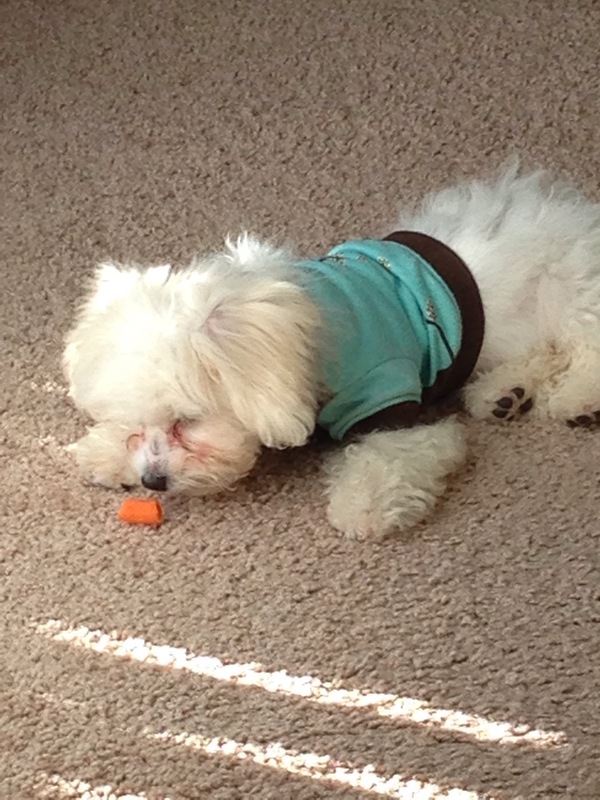 I’d like my puppy to be 100% vegan like I am. She likes fruits and vegetables. 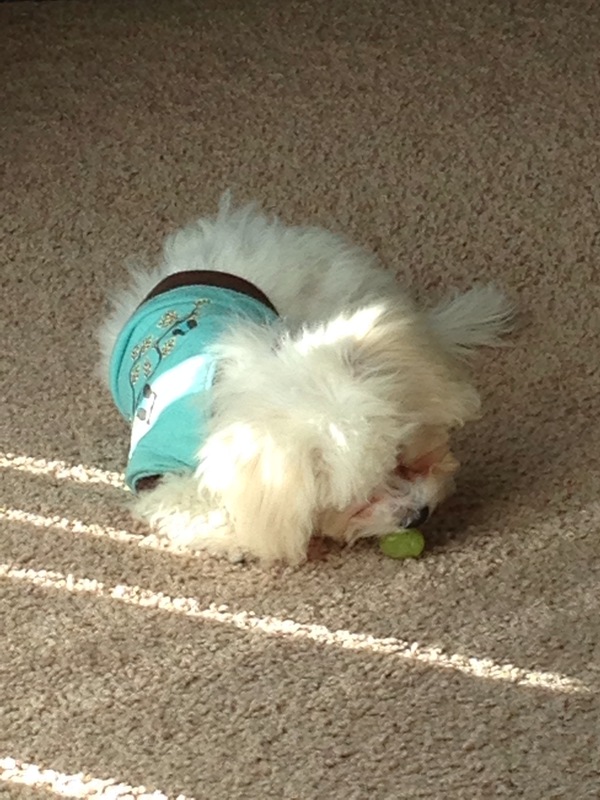 I have not come across vegan puppy food options at any retail stores. Do you have any vegan recipes that would provide all of the nutrition that growing puppies need? In a world where my salads were a little boring, my chikn fingers were a little bland, and my sandwiches weren’t that exciting…. I found Follow Your Heart High Omega Vegan Bleu Cheese Salad Dressing, and my life is forever changed! Creamy and tangy like the real thing, this is a new staple in my fridge. It is a little less intense in flavor than traditional Bleu cheese, but I have no complaints here! I like to put it in Gardein Chikn strips with some hot sauce or on an avocado sandwich. I’d pretty much put it on anything! Let me know if you’ve tried it! 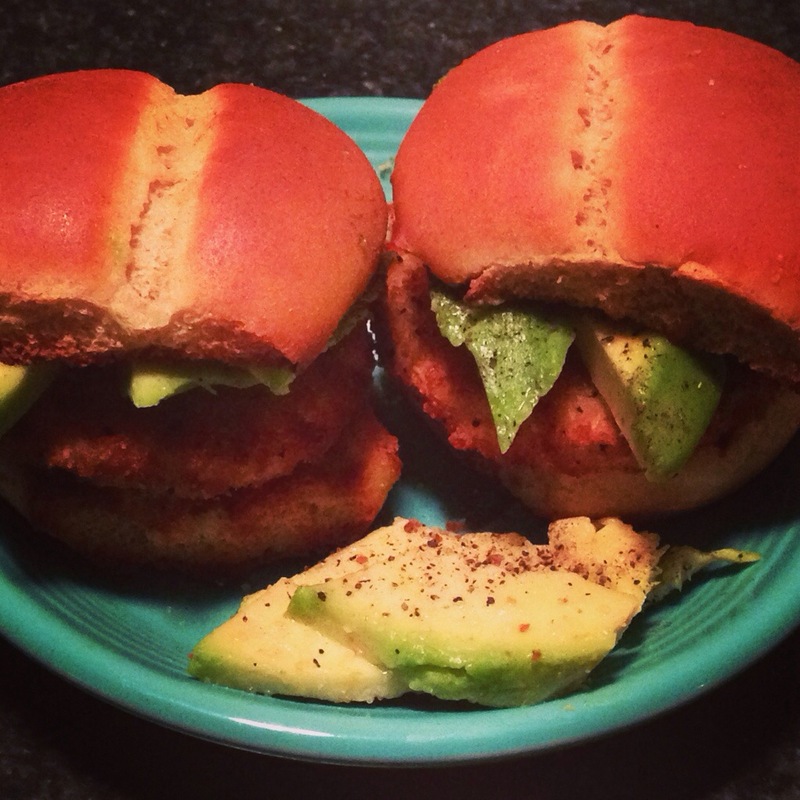 I cannot say enough good things about Gardein’s Crispy Chik’n Sliders! I’ve bought these multiple times and I just can’t get enough. The Chik’n bakes up to be moist and crispy, and the bun is soft and delicious. I love putting avocado and BBQ sauce on these bad boys. They come in a 4 pack for about $5. Well worth it, I say! Have any of you tried these? 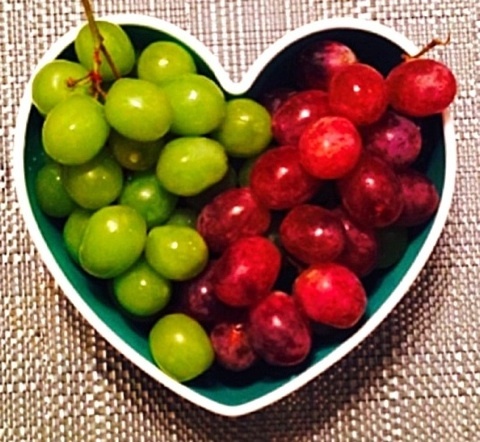 How do you like to prepare them? Products like these make sticking to a plant-based diet so much easier for me! 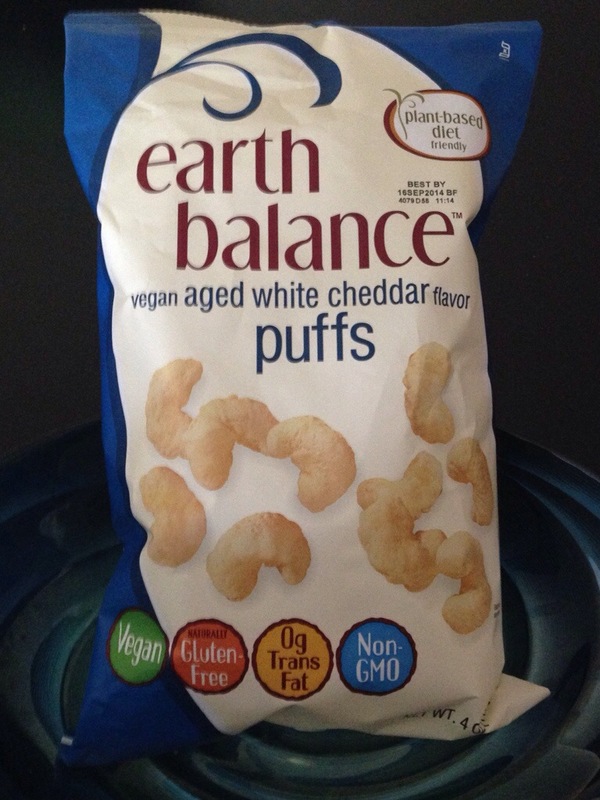 Obviously, I don’t recommend eating vegan junk food all the time, but when you have a craving, these can’t be beat! 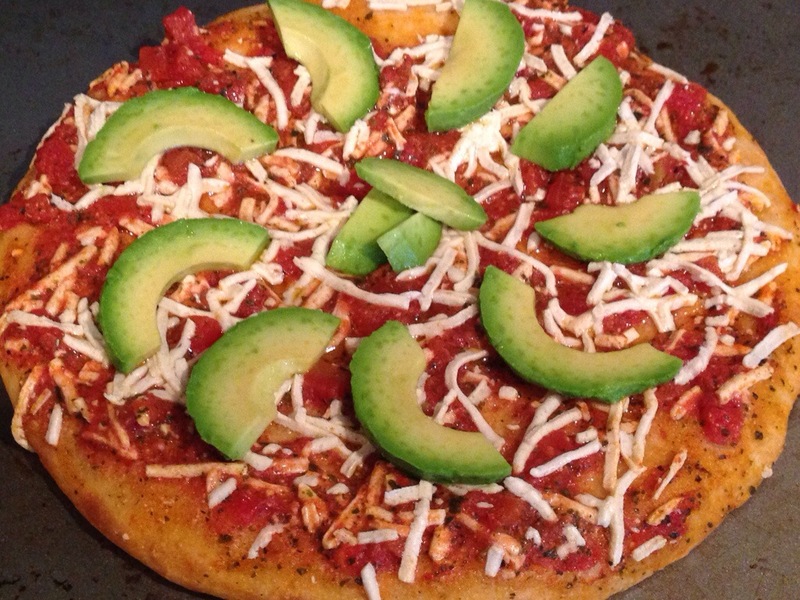 Amy’s Vegan Margarita Pizza with avocado slices is uh-may-zing! I mean, how could it not be? I definitely recommend this combo… I added some sea salt which was the perfect finishing touch. Well, the impossible has happened. Hell has frozen over, pigs have flown, it’s a miracle! My meat and cheese loving boyfriend has agreed to go vegan for 6 months! Ok, “agreed” is stretching the truth. He lost a bet, but nonetheless, we are now in a 100% vegan household! He has made it through 2 weeks and is going strong. And, it’s so nice to not come home to the smell of him cooking burgers or chicken. This is truly a miracle! A geeky girl's guide to fitness, beauty, fashion, and all things bacon. I write about things and you choose whether you're bothered to read it or not.